3. Start shopping, You can set a filter , choose colour, designer or size. Easier way to shop and find specific item. Or you can type in the search box for the item's name. 4. 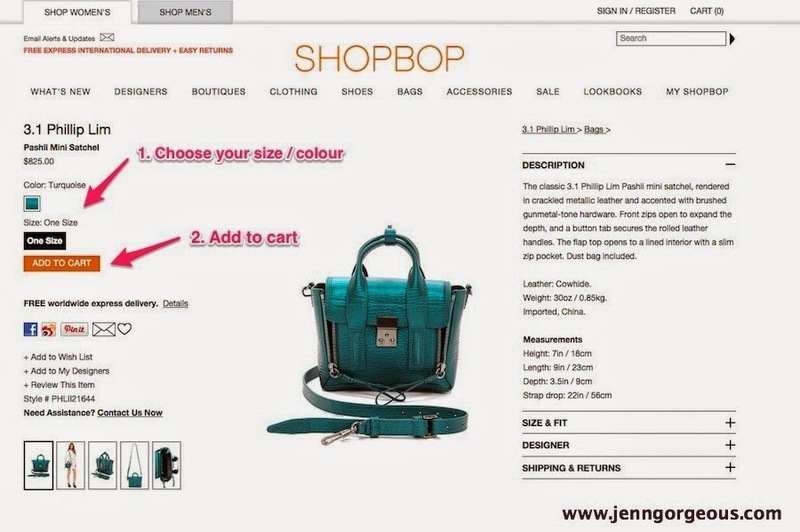 Once you decided to buy an item, choose the colour and size and then Add cart. It will hold in your cart for 30 minutes, reserve for you. go to check out, choose custom and duties deposit( 10% of the total price of the item) and fill up all the details and your credit card to make payment. Shipping service is from DHL, they are very reliable courier service. My parcel arrived within 6 days. I'm very happy that the box is in a good shape. And the bag is in a good condition. 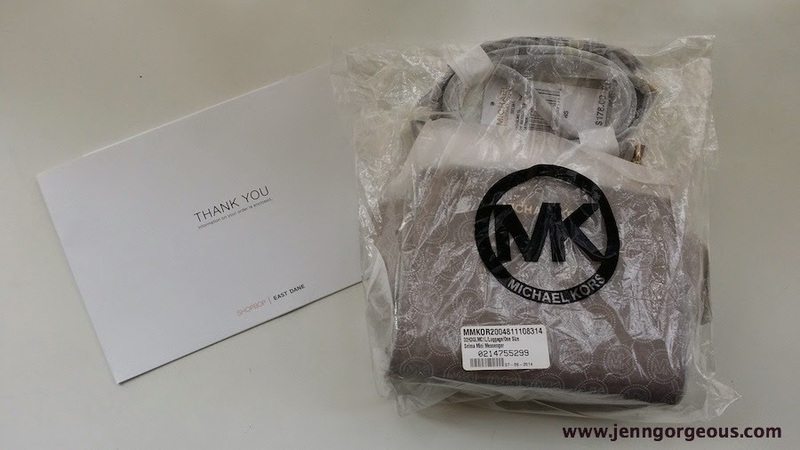 If you decided to change colour or size of your order, you can return them by following the instruction given in the white envelope. It's very easy fill up the form and then send to DHL outlet. 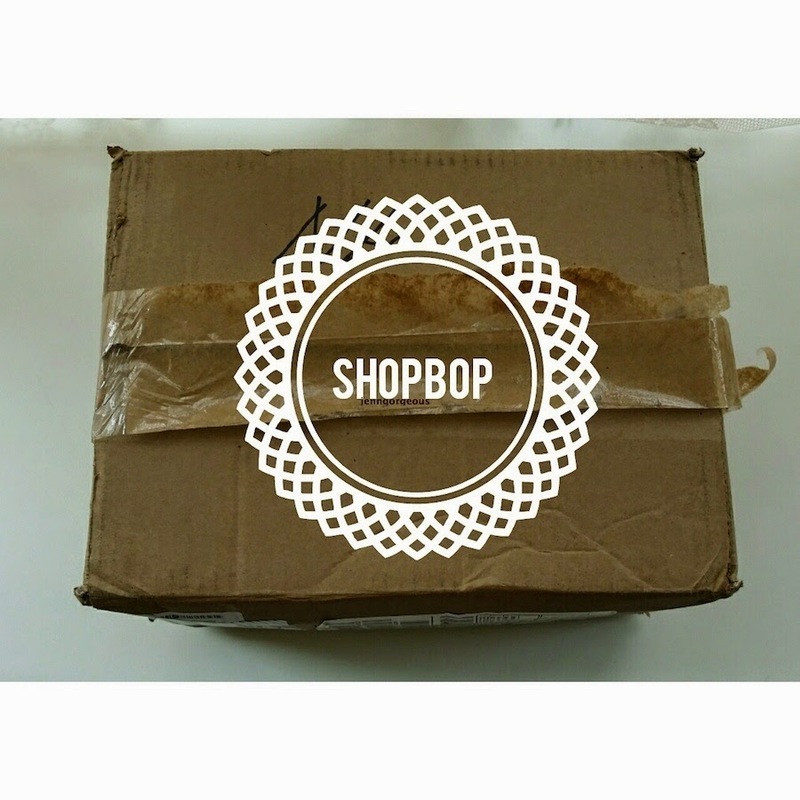 more info you can check out here https://www.shopbop.com/ci/aboutShopBop/customerservice.html#,page=4 . I love this mini Selma!! This is the Selma Mini Messenger. It's in the colour Luggage. 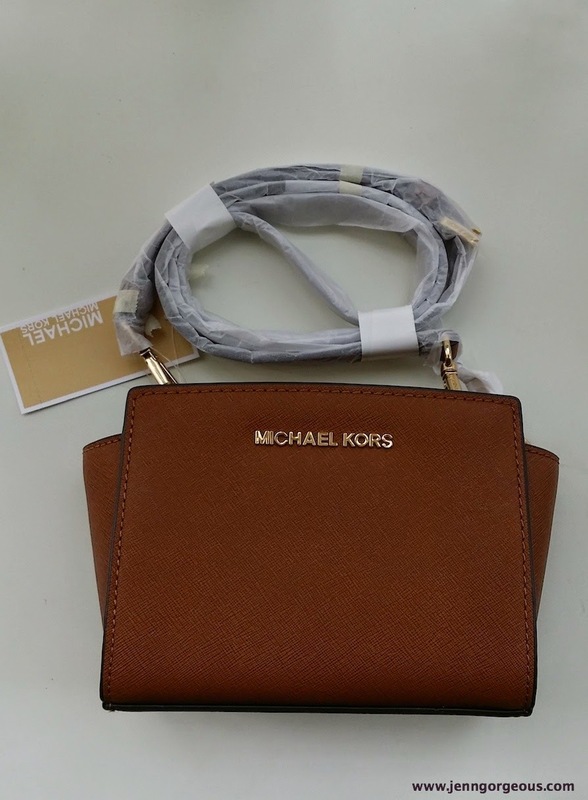 It has one big zip closure, and 4 card slot. Adjustable straps. It's small but you can fit in passport, phone, small wallet, cards, tissues. It's very convenient to travel with. 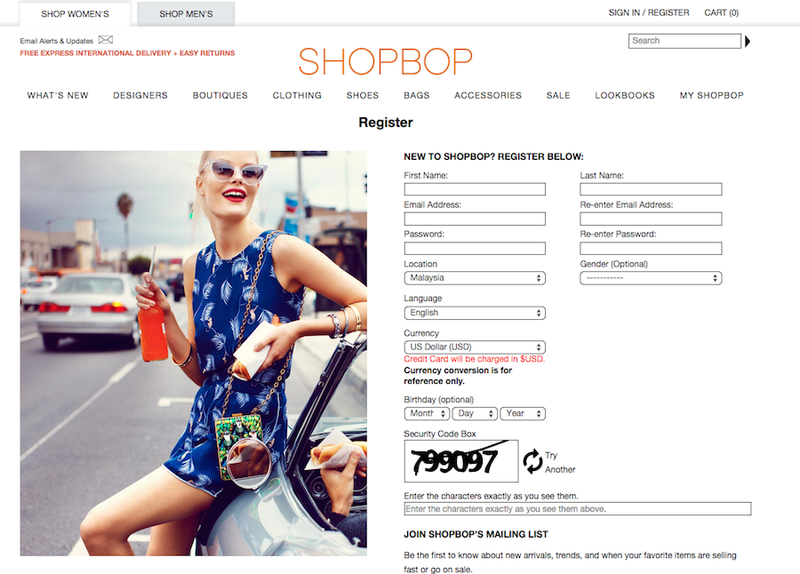 Overall, I really think that Shopbop is a reliable online store, you don't have to worry of it's item authenticity. 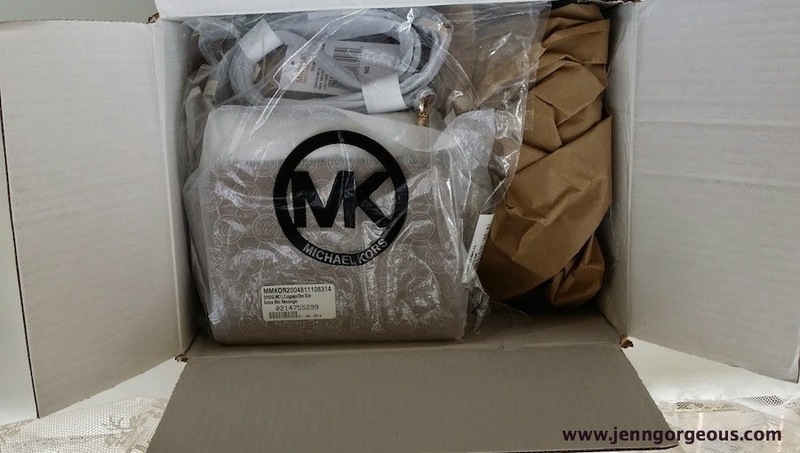 The item come with original tag and packaging. The parcel come in a good shape, no holes or damage. And if you notive that you actually paying much lesser than the price here in Malaysia store. 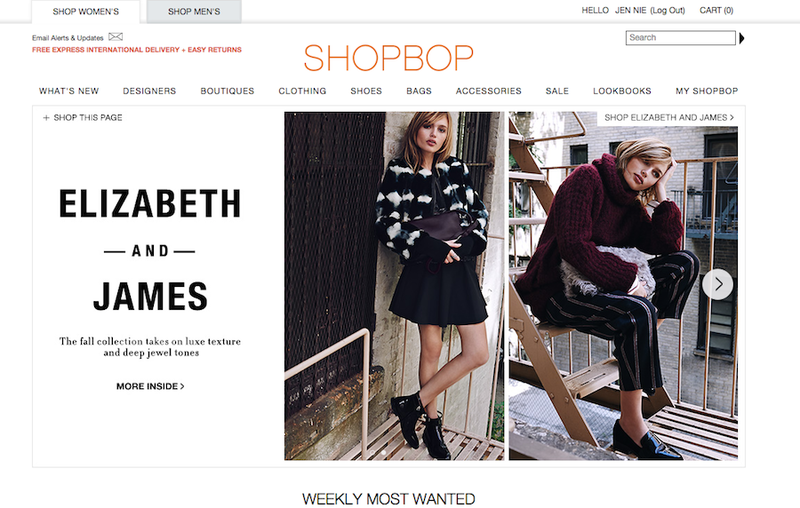 I'm looking forward to shop more at Shopbop.com. I want to get that 3.1 Phillip Lim Pashli Satchel, anyone wanna send me a gift or maybe christmas present?